This is the FASTEST and ONLY way for Philippine Registered nurses to be registered, work and eventually settle in New Zealand. 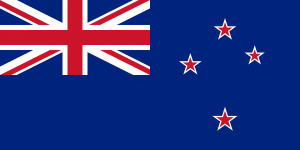 We have been sending nurses to New Zealand continuously on this program since 2009. Requirements are academic all 7 IELTS OR all B OET and 2 years RN experience. This is arguably the BEST program for you and your spouse. This visa allows partners of Student visa holders who are enrolled in a program towards Post Graduate qualification in New Zealand. This is the fastest way for you and your spouse to leave for New Zealand and start the pathway to study, work and eventually settle in the city of your choice. Study Work Settle Program for the Main Applicant and Open Work Visa for the Spouse. Couples go to New Zealand together to start the whole process. For Underboard and Less Experienced Nurses - Be an RN in NZ! This is for nursing graduates that are aspiring to become Registered Nurses in New Zealand without having to go through employment. This is also applicable to nursing graduates who didn’t take the board nor do not have a registered experience here in our country. Of course, we have the best schools in line for you.